We’re super excited about this new photography art book coming from UK’s Jazz re:freshed collective. 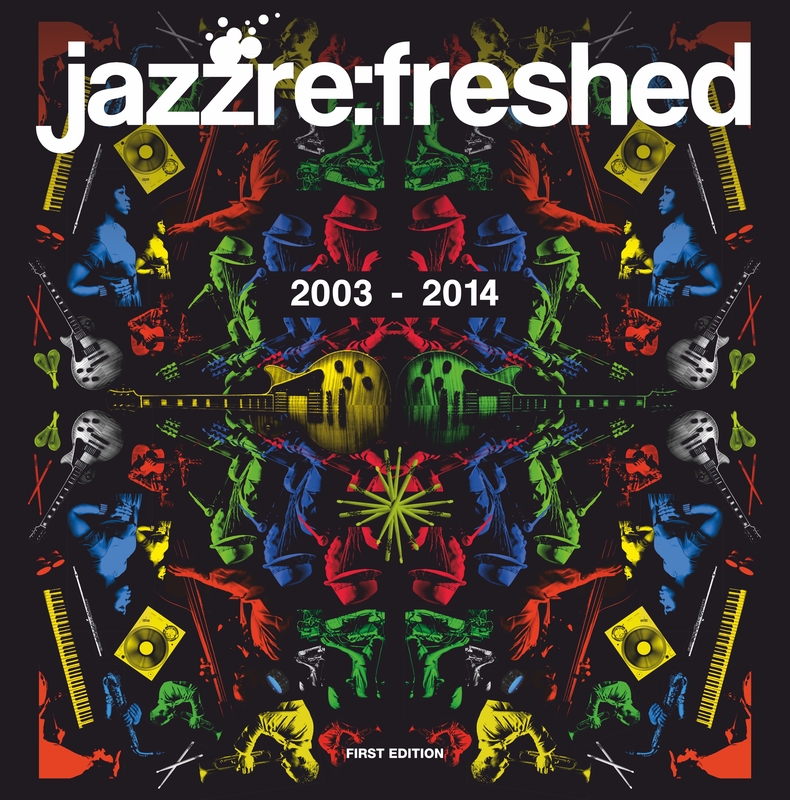 “Jazz re:freshed 2003-2014” documents over ten years of the Jazz re:freshed live music nights in West London. 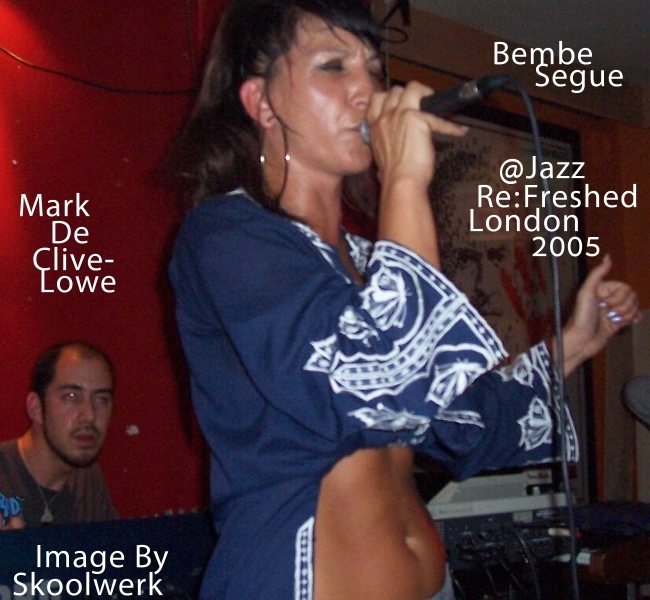 In 2003 Jazz re:freshed humbly began to establish it’s brand by hosting intimate live performances every Thursday night. The night quickly grew to become a weekly movement that was not to be missed. In a packed, standing room only venue fans and enthusiasts are treated to up close and personal performances by an array of well-established, as well as up and coming jazz, soul and world music bands, both homegrown and international. Jazz re:freshed is the place to be in West London whether you’re being introduced to new artists and bands or experiencing JRF favorites like Kaidi Tatham and Mark de Clive Lowe. On May 7th Jazz re:freshed will release their photography art book and as an added bonus each book will come with a free album of music “Jazz re:freshed Live Vol. 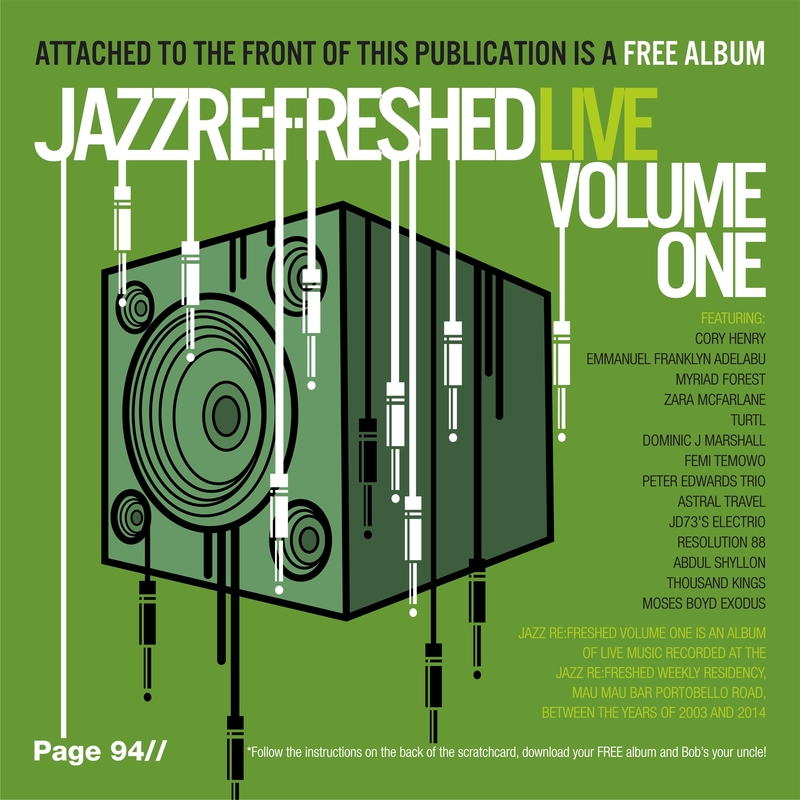 1″ recorded live at the Jazz re:freshed Mau Mau bar weekly sessions. The live album features Cory Henry, Zara McFarlane, Astral Travel, Abdul Shyllon, Thousand Kings and many, many more! 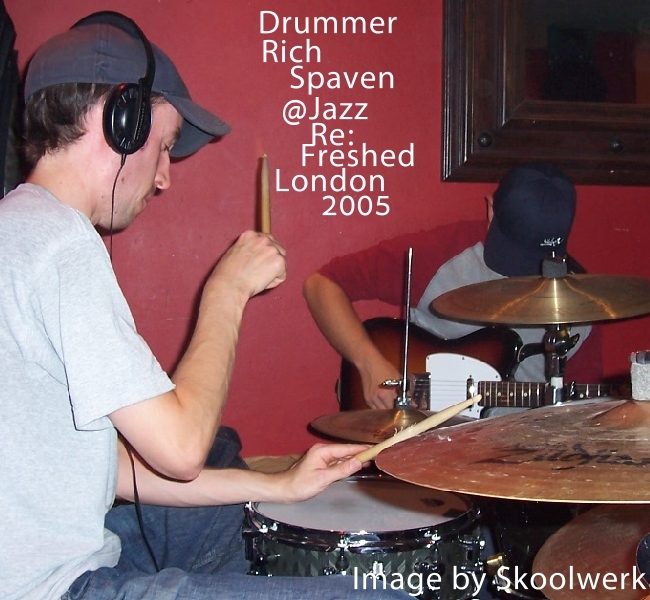 The Jazz re:freshed goal was to create a cultural scrapbook archiving and documenting Jazz re:freshed visually and sonically while creating an opportunity for JRF attendees to be more connected to the publishing process by submitting photos, words and experiences to be included in the book. *Limited book run. Don’t wait. Order now! In 2003 an incredible new movement began to take shape in the heart of West London. 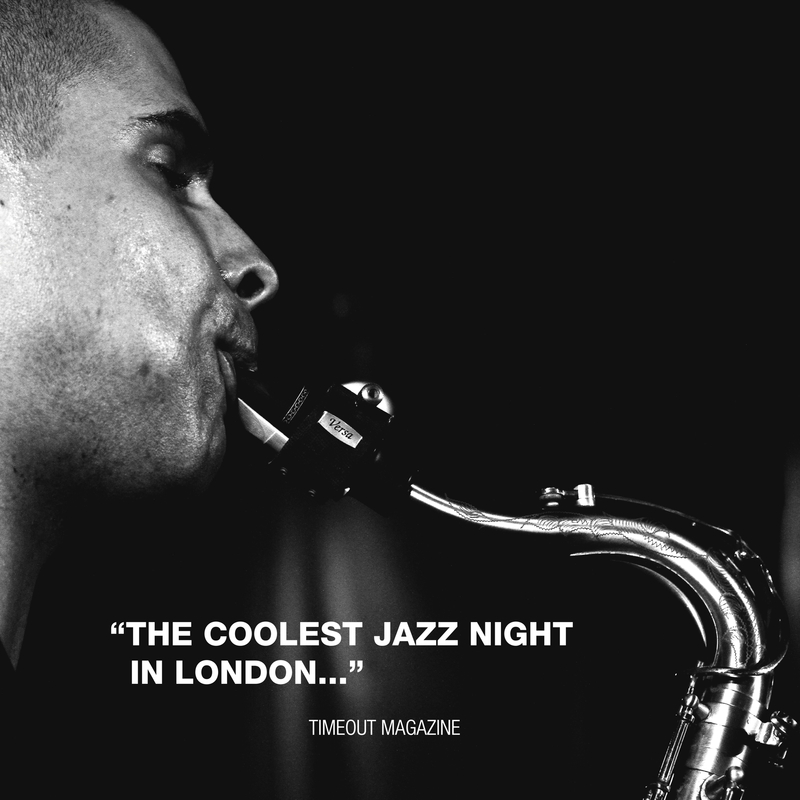 This movement was built around a weekly live residency playing host to a who’s who of well-established, as well as up and coming jazz, soul and world music bands, both homegrown and international. 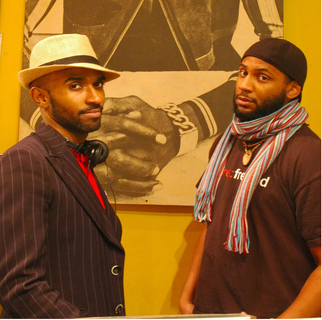 This movement, Jazz Re:freshed, a staple in London, a well recognized brand worldwide, and now a new resident in Sao Paulo, Brazil (Jazz Re:freshed Brazil), is the brainchild of two very humble jazz aficionados Justin ‘Top Rock’ McKenzie and Adam ‘Rock’ Moses. 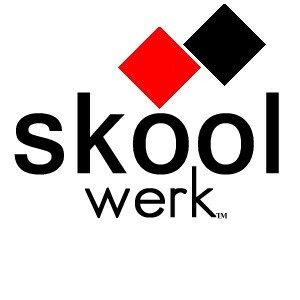 After a decade of hard work, branding and building what could possibly be next for these two dedicated aficionados? Yes! You guessed it! Jazz Re:Fest! On August 24, 2013, Jazz Re:freshed will present Jazz Re:fest, their very first festival to mark 10 years of Jazz Re:freshed. As you can imagine Jazz Re:freshed has plenty to celebrate and will have plenty of their friends on hand to hit the stage to help make this event an unforgettable night of all nights. Jazz Re:fest will feature the vocal stylings of Vanessa Freeman (Koyoto Jazz Massive/Reel People), keyboard extraordinaire Kaidi Tatham (Bugz In The Attic), singer/songwriter Abdul Shyllon (Mark de Clive Lowe, Omar, DJ Spinna) and many, many more. If you are in London or headed that way you won’t want to miss this anniversary celebration. It’s history in the making! 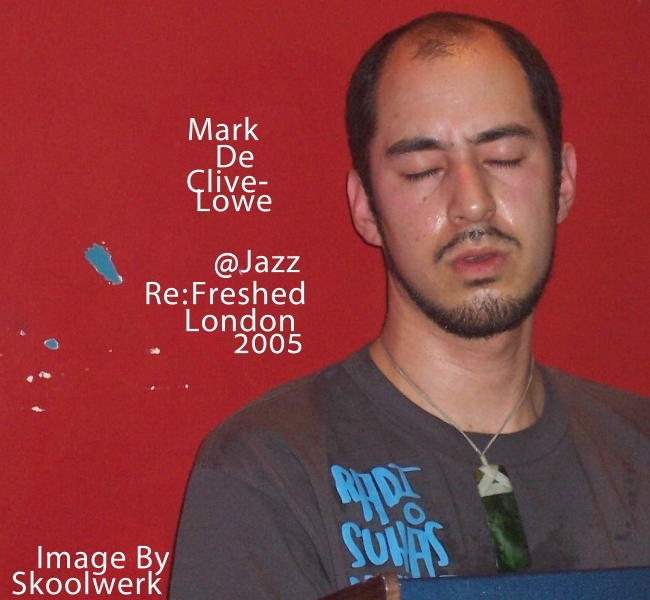 In honor of Jazz Re:freshed and their 10th year anniversary I pulled up a few shots that I took back in 2005 when I had the pleasure of being in London at Jazz Re:freshed to catch Mark De Clive-Lowe, Bembe Segue and Richard Spaven. So happy and proud that Justin and Adam took up the jazz torch and never let it go. Congrats and here’s to 10 more years and beyond. With love from your family across the pond! 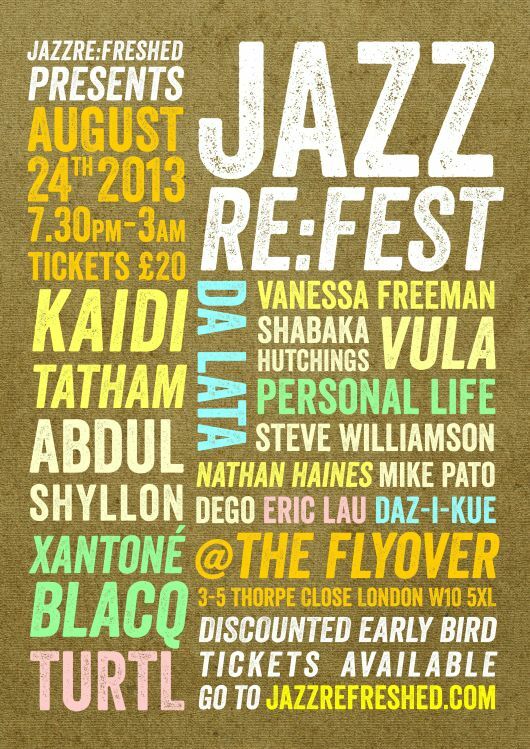 For those who can’t make it to London for the Jazz Re:fest no worries. 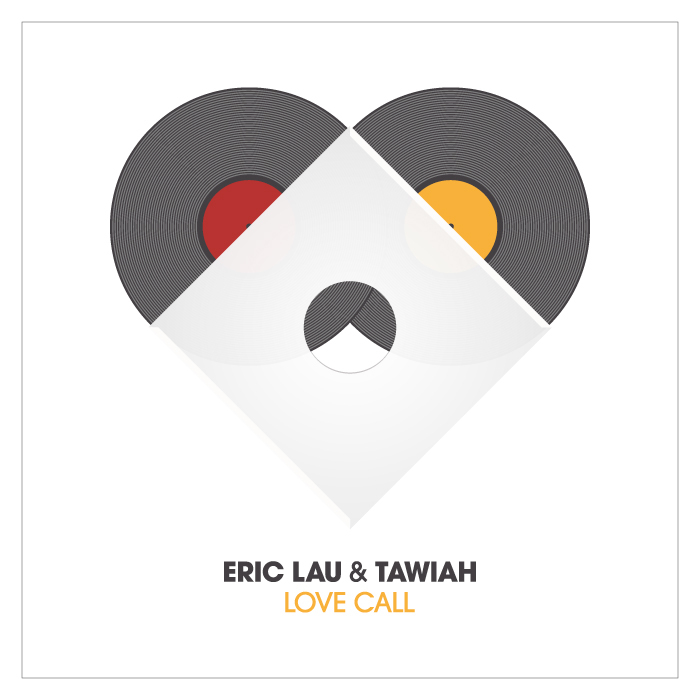 Adam Rock has put together a fine mix featuring many of the artists performing. Click the image below and enjoy!